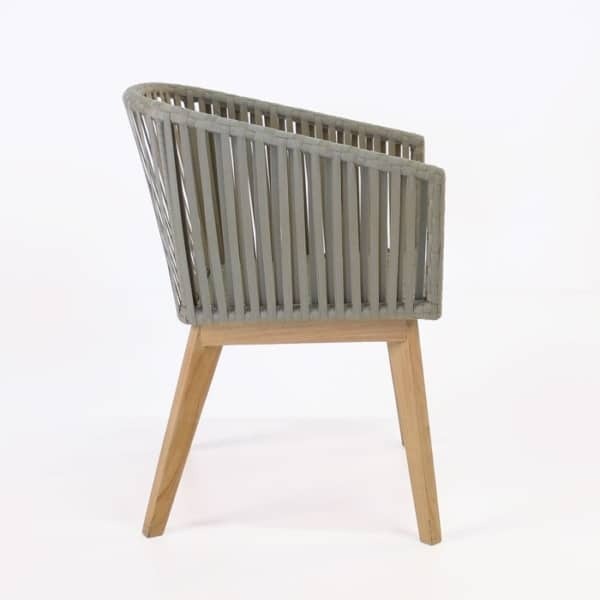 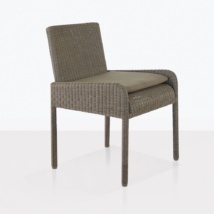 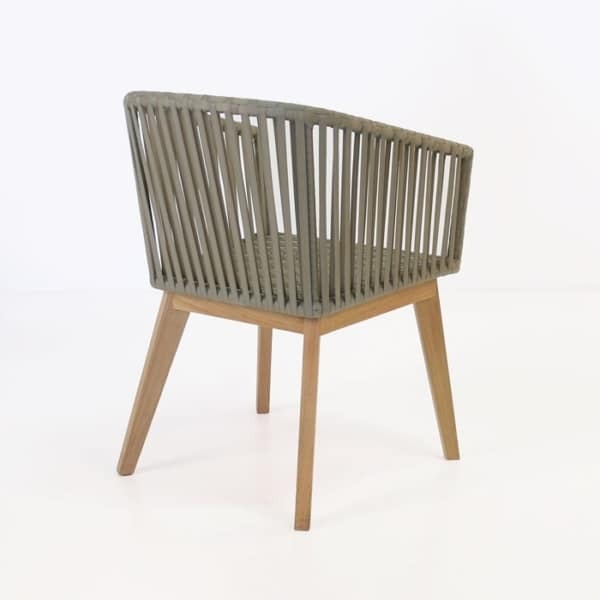 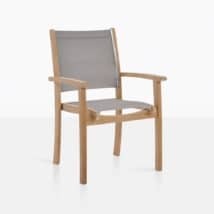 The Willow outdoor dining chair is part of our new Sunbrella® strapping range. 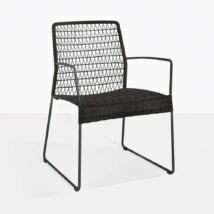 The style is very mid century and elegant. 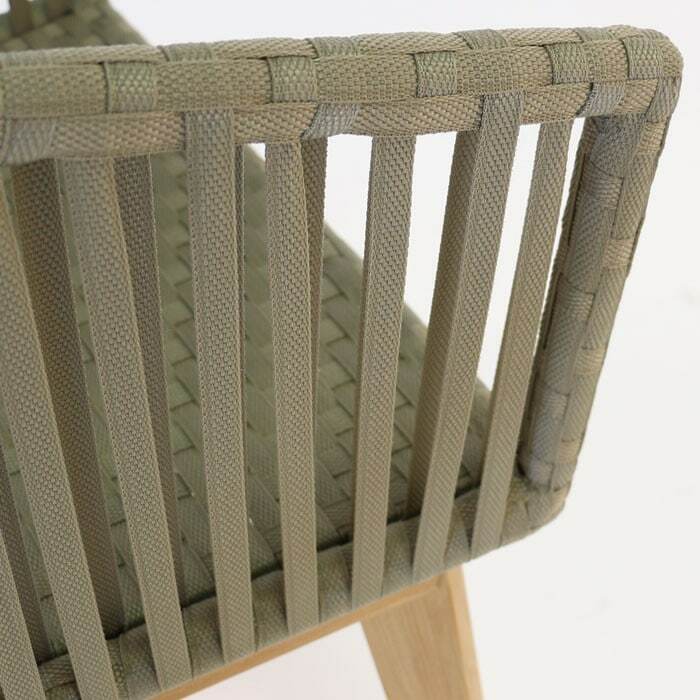 The Sunbrella® strapping is tightly wrapped around the a-grade teak frame. 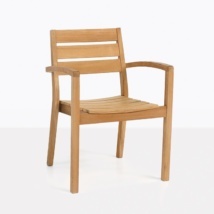 Sunbrella® and A-Grade teak are two durable materials that are ideal for outdoor use. 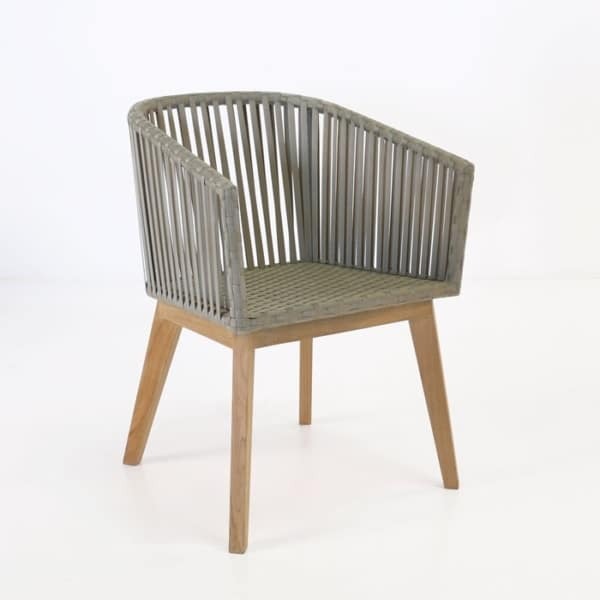 This outdoor dining chair will go beautifully with many of our outdoor dining tables. W23" x D23" x H32"